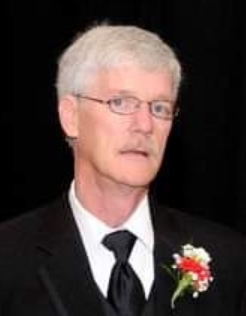 Daniel K. Leisso, 62, of Onalaska, passed away peacefully on Monday, March 18th, 2019 at his home surrounded by his loving family. He was born on April 24th, 1956 to Wilfred and Beverly Leisso in La Crosse, WI. Daniel graduated from Central High School in La Crosse in 1974. He married Sharyn Buroker in 1977, they later divorced. He worked at Norplex Allied Signal most of his life until they shut down in 2002. In 2003, Dan suffered a major stroke and was unable to work after. He had been sick from congestive heart failure since his stroke but he tried to live as normal of a life that he could. Despite his medical conditions, he still continued to volunteer and do odd jobs. He was a very hard working man and loved to stay busy. He loved spending time with his family and adored his 4 grandchildren. Dan was a very kind, giving, gentle soul and will be missed by so many. He is survived by his children, Josh (Angi) Leisso and Jennifer (Dominic) Dissmore; grandchildren, Ashlyn, Braelynn, and Cecil Leisso, and Micah Dissmore; sisters, Ruth Leisso and Lois (Ronald) Boenigk; and many extended family and friends. He was preceded in death by his parents. A special thank you to Mayo Hospice, especially nurses, Kelly and Mary. A memorial service will be held on Saturday, March 23, 2019 at 12 PM at St. Paul’s Lutheran Church, 1201 Main St., Onalaska, WI with visitation being held from 10 AM until the time of the service. Pastor Bill Bader will officiate. In lieu of flowers, memorials preferred to the family. I’ll be at the service for Bekke,Andy and myself. Our prayers are with your entire family.